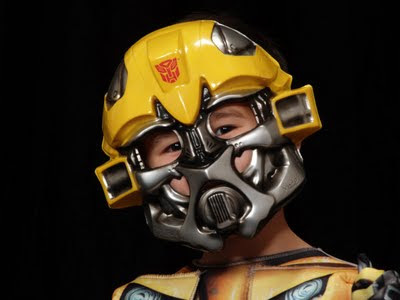 My Sweet Haven: Bren is Bumblebee! 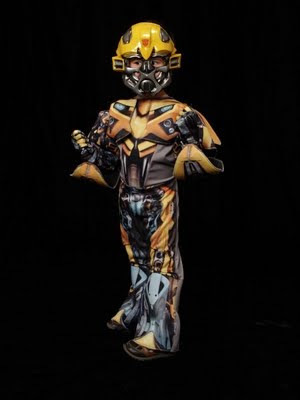 He was a little Bat...turned into Darth Vader...sailed as a little Buccaneer...raced like Lightning Mcqueen...and this year, he transformed into...BUMBLEBEE. This is my cute little nephew, Brennan Carlyle. 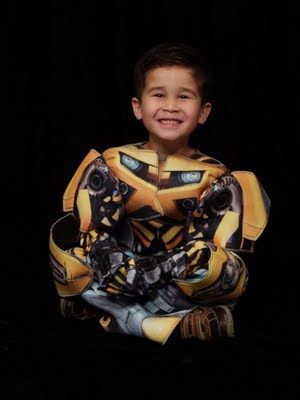 He's 4 years old and like all kids on Halloween, he's all dressed in his bumblebee outfit and proceeded from house to house for the customary trick-or-treating. My sister said he had a blast. He's got a grocery bag full of candies and didn't want to let it get away from his sight. He asked for his bag of candies first thing in the morning and just practically ate nothing but candies. So typical for kids his age. It was a shame we didn't have any trick or treaters this year. As I've said this town is the home of retirees so I've yet to see a toddler so far. If we have kids, then we'll probably be the only one trick or treating here, lol! I've entertained myself by viewing cute photos of my friends' children on Facebook. 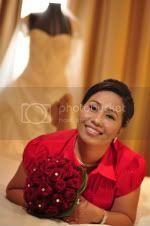 They look so adorable so I thought of sharing my "tisoy pamangkin" photos on my blog. Happy Halloween!